Enter your email address bellow, then click the "Send my free copy" button to get started. Your company’s greatest assets are your employees. And the last thing you want is for them to feel stressed out, exhausted and unhappy. Aim to keep your employees healthy and happy – so they remain productive and stay working for you. And most importantly, so that they would love and care about your company enough to help drive it to even bigger successes! Discover surprisingly easy ideas to improve your employees health and wellness. It makes sense, if you’re running a business, to only want the best people in your team. What businessperson wouldn’t want an A-team working for them, right? A hefty paycheck isn’t the only thing that will make your people happy. You’ll be surprised to find out how simple acts of caring about their overall health and wellness can actually make a huge difference in the way they see their everyday 9-to-5. From exercising at your desk to better sleep habits, finding time for lunchtime excursions and how to move it or lose it, we’ll walk you through a whole raft of healthy ideas designed to boost your mood and productivity. Great diet plans and workouts fall short when you don’t address your body’s very specific needs. The truth is that what works splendidly for one person might not be any good for you. In order to apply this principle of specificity to your employee, bulk in regular checkups with your health plan offering. From there you can tailor a fitness a wellness plan perfect for your people. Sarah McGuinness, corporate wellness specialist and founder of My Health Revolution, says the key is to aim to be the best version of yourself – not someone else. Your body, your lifestyle and your wellness goals are personal to you and following a generic plan often leads to failure because it’s hard to shoehorn someone else’s life into yours. You’re much better to sit down and, within the context of your own life, decide what’s possible and achievable and go for that. If you can only manage to carve out 30 mins for exercise at lunch time twice a week – awesome! Do that. Do what’s possible and build on that, rather than set yourself up for failure with a grand complicated plan. Often, we have the idea that one exercise regimen fits everyone. The truth is that bodies have their own unique needs and associated workouts. Get a coach to come in to test your employees out for free then tailor office workouts to suit them to a tee. 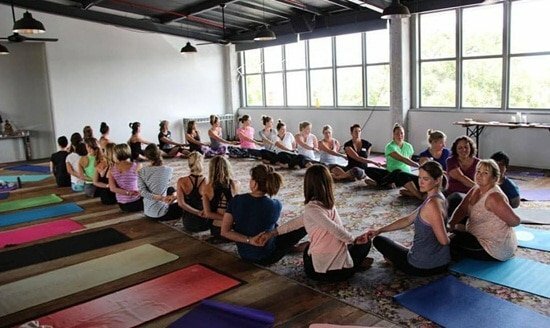 The friendly and approachable nutritionist at LifeSpark, Kate Walker, suggests that you plan your entire week out on a Sunday. Look at what meetings, activities or events you have upcoming and plan around this. Develop a menu plan for meals and healthy snacks then write a shopping list. At the very least, you could offer trade-ins or purchase offers should your employees choose to get a new bike. More than that, consider having a bike repair service on-hand to provide free servicing for your employees. All these will certainly have them hyped up for biking. 5. Sleep 8-9 hours each night. We cannot stress enough how important getting enough sleep is for employee wellness. It is our way of recharging our bodies and mind so we have enough energy for the next day. Alex Tully and Kate Morland of Studio Rubix suggests to try getting 8-9 hours of sleep every night. Having adequate sleep improves our mood, energy levels, physical performance, appetite, and helps protect our immune system. Bitewize’s registered dietitian, Caroline Worth also suggests to try to get up from your desk every hour – consider discussing something with a colleague in person rather than emailing, or walk up 1-2 flights of stairs a few times a day to break things up. Granted, it might not be easy to stand when hammering out a report. But you can certainly shift to standing for little tasks like checking emails or answering calls. For people that work predominantly in a seated position finding ways to get up out of that chair have a range of health benefits. The British Journal of Sports Medicine recommends you spend at least two hours a day standing and gradually work up to 50% of your work day. Productivity, a decreased risk of diabetes and weight loss are all benefits from a more active day. Varidesk is a simple solution that sits on top of your existing desk allowing you to sit and stand at your computer. Did you know that you can exercise on your desk? There are ergonomically designed chairs, desks, and tables to support better health at work. A desk cycle is an awesome idea for those who do not have time to cycle after work, making it perfect for offices! Alex Tully and Kate Morland of Studio Rubix also agree that in desk-bound jobs we put a lot of strain on our neck and shoulder muscles throughout the day. It is important to take some time to stretch out these muscles and move them to prevent tension build-up. Resistance bands exercises can help with this. If you keep taking lunch breaks in the offices, there’s hardly room to chill out. 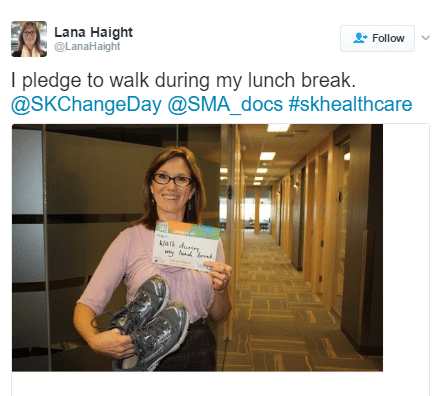 Take your teams out for walks or make a pledge to walk during lunch breaks. You don’t have to go too far. Once around the bend should be enough for some fresh air. 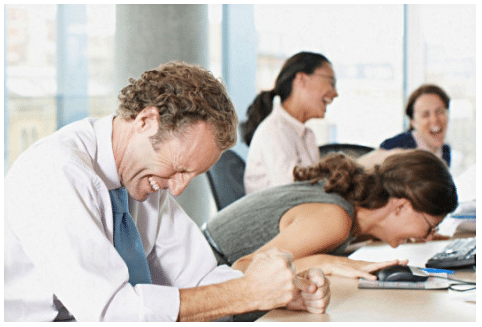 One employee wellness tip from Bodiwellness is to laugh. Who knew? Get up 20 minutes earlier and go for a morning power walk. Do it every day to make it a new routine, it ends up being much easier that way when it becomes your ‘new normal’. Organise working walk meetings. If your job allows it (or maybe you can suggest it! ), try walking meetings, they are very productive. Take a phone to record notes as you chat if needed. Make your house work do the work. Rather than seeing this as a chore, see it as a fitness opportunity. Carry the firewood in a long way around the house, dance while you vacuum, do squats and lunges while you wait for the washing machine to finish. Explore local walkways, bush walks, and beaches. It’s a great way to get extra steps in while chatting with a friend! Make social catch ups active. A fitness class, walk or dance class rather than the standard glass of wine and cheese. Get a dog. They will remind you that you need to walk that’s for sure! If we’re honest, we prefer the elevator. A study by the New South Wales Government has found that over 10 minutes of stair-climbing burns over 500 kj. They even prepared downloadable posters that you can use around your office. These talk about the benefits of taking the stairs. Naturally, setting the example yourself goes a long way too. ‘TAKE THE STAIRS’ Get the series of FREE posters to motivate your co-workers! 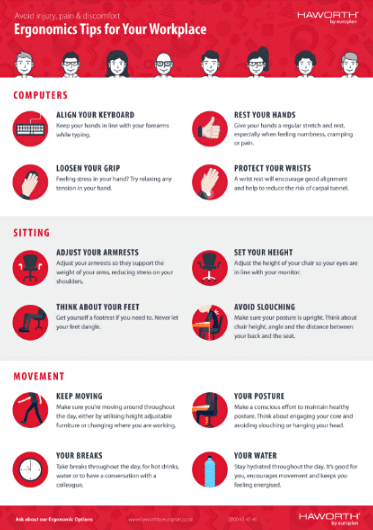 Here’s an easy 10-Minute Exercises at Work that you can do even at your workstation. Another great tip from Melissa Carroll is to keep moving! Your body is designed to MOVE and we know how good you’re designed to feel and bringing gentle movement into areas of your day is a great way to ground and reset. We know you are not all gym fanatics so find a way you ENJOY moving! Whether it’s a walk in some fresh air at lunchtime, taking a gentle twist in your seat every 20 minutes, or using the stairs. Exercise doesn’t have to be a chore or something you dread!! Maybe try a new activity this summer – swimming, pilates, yoga, dance class, beach walks with friends – find a way to move your body that you ENJOY!! Enjoy moving so you’ll be physically active every day at Wellness Retreat NZ. Even Angela Berrill, Director and Dietitian of ABC Nutrition, thinks it’s best to try to break up long periods of sitting and inactivity by moving more. Whether it’s taking the stairs, rather than the lift, getting out for a walk at lunchtime or ‘walking an email’, the more we can get moving throughout the day the better. Rae Ng of MyBod believes in the importance of making time for yourself. From a health and well-being standpoint, I think the importance of prioritising some ‘me’ time for yourself cannot be underestimated, it will help you to relax, refocus and recharge and you’ll be back to your usual duties feeling energised, happier and more focused and efficient. From a weight loss/fitness point of view, it will reduce stress levels and cortisol release, which in turn encourages your rest and repair hormones to fire up and do their thing – helping weight loss, strength gain and digestion. Have a cup of tea and skim the paper. Meditate – find a guided meditation app if you need something to get you started. Sit somewhere quiet and take some deep breaths. Cuddle up with your cat or dog. If you’re in the office, get outside and take a walk around the block. No time to exercise in the workplace? Maureen, a Registered Biodynamic Craniosacral Therapist and Elemental Chi Kung Instructor of BodiWellness, doesn’t see that as a problem at all. Find a quiet place somewhere in your office and do 5 mins Chi Kung Shaking. This is bound to reduce stress, even if at first you have to laugh at what seems like the silliness of the movement. Laughter really does help keep people healthy! Nutritionist and Holistic Health Consultant, Cath King thinks so too! Trying to change our diet and lifestyle and improve our health can be a pretty serious business. It’s a long, hard road. But laughter yoga is the most fun you can have with your pants on. Unconditional laughter dissolves stress, negativity, tension, judgment, ego, and barriers between people. This seemingly silly activity is one of the most powerful experiences a team can experience together, improving communication, culture, productivity, and employee wellness all at the same time. 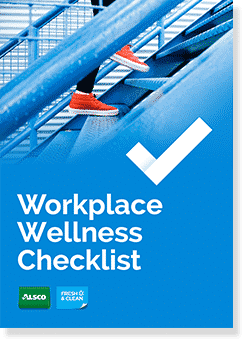 Improving workplace wellness is profoundly holistic, requiring information, practical advice, motivation, a supportive structure and emotional sensitivity. Few things can be as relaxing as yoga. If you happen to have someone who’s into it, tap them to help everyone to get relaxing with impromptu sessions. If it’s something that becomes popular, you can even look into hiring a regular guru for weekly classes. There are a lot of different kinds of yoga and you can find one that suits your needs exactly. Robin Rodgers, Natural Health Practitioner of Aquarian Healing and Wellness Centre also shares this interesting tip on finding and running your Central Meridian. Another thing I teach my clients is to run their Central Meridian. This is done by running your hand up the centre line of your body from between your legs up the centre line of your body and over the top of your head three times. The last thing would be to rub under each breast as this will strengthen – on the left side the stomach meridian which is about despair of self and situation and on the right the liver which is about frustration and rage. What is the connection between the body and the mind as discussed by Dov Phillips’ (Dr. Happy). More inspiring videos from Dr. Happy here. Maureen, a Registered Biodynamic Craniosacral Therapist and Elemental Chi Kung Instructor of BodiWellness shares this awesome breathing technique that works wonders. Practice abdominal breathing and focus on the exhalation. When we shallow breathe, i.e. if only our shoulders or chest rise, then we are forced to breathe quicker, which in turn stresses the body AND the mind. For the more introverted among your employees, a public workout might not be the best way to go. In the world today, there are many digital options that allow people to workout in the comfort of their homes. If you can spring for DVDs, that would be nice. But a more obvious way will be to compile and effective YouTube list that you’ve tried yourself. Don’t want to go to the gym? No worries! 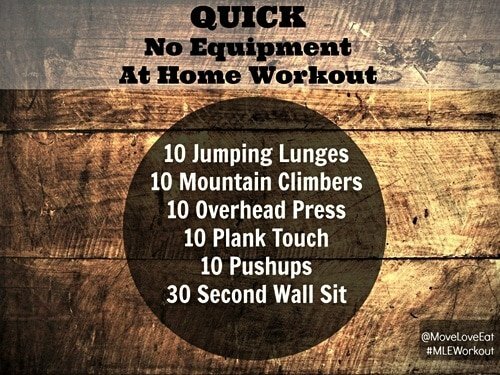 Try these quick no equipment workout at your very own home from Eat Well NZ. You can do it by random selection or you can let your employees pair up on their own. The idea is to have somebody to work out with. Somebody to inspire you, motivate you and push you out from your bed on a slow day. If there is nobody available in the office, encourage employees to find gym buddies online through an app like I. AM app. Go360 Gym and Wellness Centre suggests that you head straight to the gym before going home and stopping or you won’t make it back. 30- 60 mins doing resistance type exercise, using energy creates more energy so sends you back to your family with having time out for you and happy hormones from your exercise bouncing around! Win win. What can you do to improve your workplace? Download our extensive checklist for lots of great ideas! We’re here to help you make positive choices―from breakfast to beating that mid-afternoon sugar craving. There’s clever ideas on how to keep your calories in check and even debunking the latest health myths. 23. Always start the day with breakfast! Andrea Palmer, the dietitian who doesn’t do diets, also shares that even if you’re not a breakfast person, it is best to choose something small you like to eat, whatever that may be. This will help you develop the habit of eating when you get up. Once you’re in the breakfast habit and feel good about eating breakfast then look at your choice of food. Often you’ll find that your choices naturally change as you start enjoying the breakfast experience. 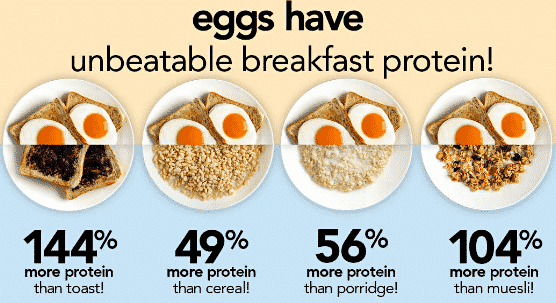 And if you are having a hard time thinking of the right foods to have for breakfast, go for eggs! Same thing Bek Parry, a nutritionist and healthy living enthusiast of Bek Parry Nutrition, thinks about starting the day off right! Even Melissa Carroll, the retreat director and yoga teacher at Wellness Retreat NZ swears by the habit of starting the day right with a yummy and healthy breakfast! Colourful real healthy foods for a healthier living. Did you know that a diet rich in colour has a lot of excellent health benefits? We’re not talking about those colorful candies and gummy bears here, though. You don’t want to live on colourings and artificial additives, do you? Chose clean real foods that have all the colours of the rainbow. Make half of your plate a rainbow of colour with non-starchy vegetables. This automatically ensures a great range of minerals and vitamins, increases your fibre intake and helps improve your satiety levels, all whilst helping to control blood sugars. It’s a win win situation all round! Sugar cravings can be hard to resist. Caroline Worth also shares a few things on how to win the fight against those dreaded sugar cravings! If you are fighting sugar cravings mid-afternoon think about what you had for lunch – did you even eat lunch? Was there a portion of carb, protein, and some veggies? Go for a brisk walk for 5-10 minutes to distract yourself and clear your mind. Have a big glass of water, we often mix up feelings of hunger when we are in fact thirsty. Keep some healthy snacks in your desk drawer; 30g of nuts and a piece of fresh fruit are a good choice. Alternatively, 150g of Greek yoghurt or 2-3 whole grain crackers with a small tin of tuna should keep you going until dinner! If you need to head out to work fast in the morning, you won’t have to skip breakfast or end up grabbing unhealthy fastfood! 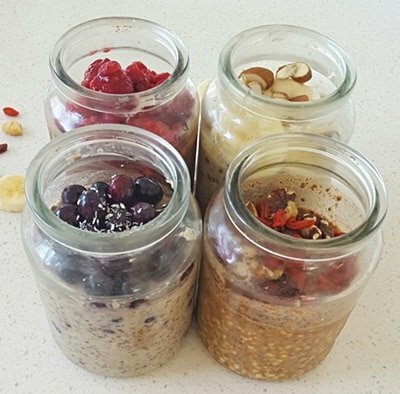 Just get your breakfast jar from the fridge and you’re ready to go! This great healthy breakfast idea from a holistic nutritionist and health coach, Natalie Brady. This is definitely going to give you a great start every day! Easy to prepare healthy foods in a jar. 27. Take your breakfast to work! Alex Tully and Kate Morland, dietitians and nutrition/personal trainers from Studio Rubix also suggests that if you don’t have time to prepare breakfast or don’t feel like eating before work- take some grainy bread and peanut butter or avocado to work and make breakfast when you get there. Eating something nutritious in the morning will provide our bodies with energy to start the day and prevent hunger and cravings. Get moving! 28. Include sustaining carbs on your breakfast! According to Alex Tully and Kate Morland, breakfast should include some sustaining carbohydrates to give our brains and bodies energy, protein for fullness and muscle repair, and healthy fats for our immune systems. 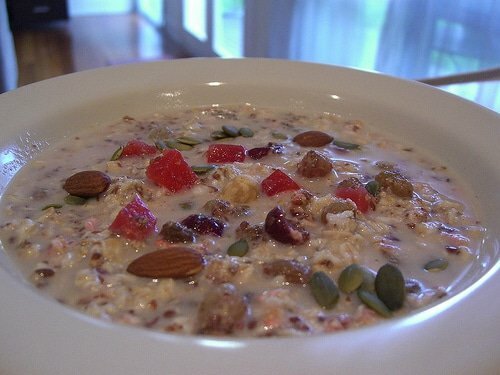 Bircher muesli can be prepared in advance for a quick breakfast. Combine 1/3 cup rolled oats, 1/3 cup milk, 1/3 cup unsweetened yoghurt, ½ grated apple, 1-2 Tbsp dried fruit and 1-2 Tbsp nuts/seeds/coconut. Cover and place in the fridge overnight, or for a minimum of an hour. The struggle can be quite real when it comes to controlling food portion sizes. The larger portion we get, the more we tend to eat. It’s best to keep them reminded of how healthy food servings should look like. Hang up a portion size guide reminder somewhere in the cafeteria or office kitchen to help your employees control their portion sizes. 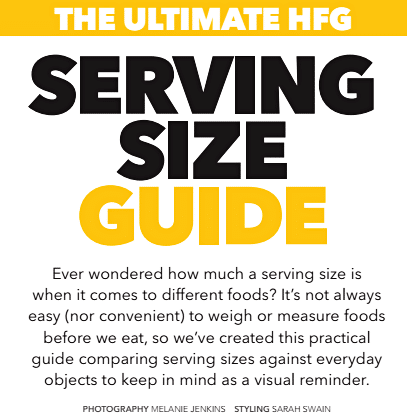 You can also send it out through email so they can print these serving size guides and pin them in front of their desks. Here’s a complete serving size guide from Healthy Food Guide. While everybody already knows how important it is to drink lots of water or fluids with electrolytes every day, you can’t always be sure this golden rule of staying healthy is being religiously followed. So it’s important that you also keep reminding your employees that they need to stay hydrated. Get creative in doing this so it’ll stick and they will actually remember to keep drinking water every day. 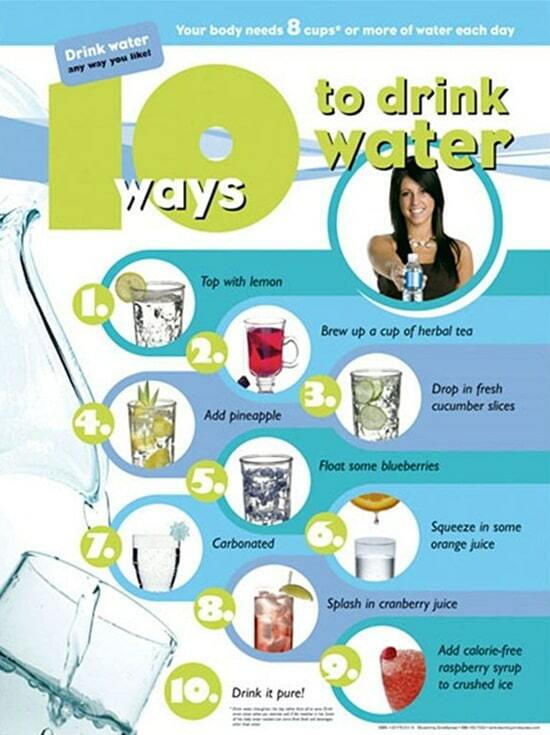 A frontmed poster that includes 10 simple, diverse ways to make water tastier and get everyone excited about drinking more water. Keep a bottle or jug of water at your desk. If you’re feeling hungry, have a glass of water to drink first. Often we can mistake the feeling of thirst for hunger. Giveaway cool water bottles for everybody. You can even customise them with the company logo or even with the employees’ nicknames or perhaps, a motivating quote. You might also want to get them those bottles that have volume markers so they can keep track of how much water they’ve drunk for the day – if they’ve had enough or need to drink more. Keeping a bottle close by especially at the start of the day will help your employees monitor their intake for easier regulation. This goes a long way towards maintaining healthy hydration levels. 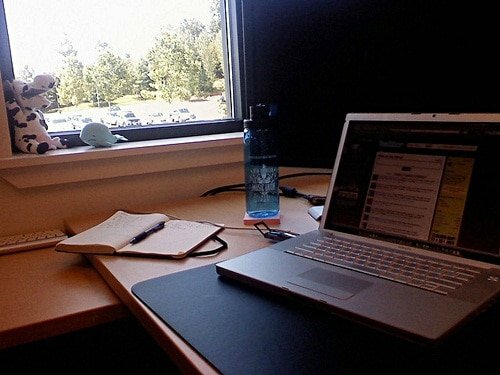 Water Bottle at your desk from Flickr Images by CC Chapman. 34. Make time for meals and snacks. Snacks don’t always have to mean junk foods. There are always healthy options even when it comes to snacks. Andrea Palmer, a dietitian from Food Habits shares that keeping your body fed during the day helps to avoid the mid-afternoon slump. Make time to prepare your own healthy meal. So many veggies have so many fantastic properties. They are great sources of fiber and other nutrients to keep you healthy. 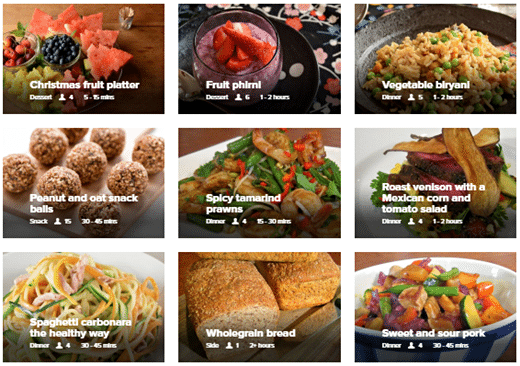 Pick a super veggie every week and invite coworkers to share mouth-watering recipes, make and share freshly made dishes and learn about the benefits of a certain super-vegetable. Some people may find it hard to drink an entire glass of water in one go, therefore forgetting to drink enough in a day. But there is a way you can drink enough water without having to force it. Encourage the habit of taking a sip every time you leave your desk–and even when you return. In good order, you’ll find yourself drinking water more often. Instead of entirely avoiding snacks, Nicola Galloway, a popular cookbook author, suggests going to protein-filled snacks instead. For example, a handful of nuts and/or seeds and piece of fruit; hummus and vegetable sticks; avocado on toast/ crackers. The addition of protein helps to slow the release of energy from carbohydrate foods. The combination of protein (cheese, yogurt, eggs, nuts, seeds, legumes) and complex carbohydrate (vegetables and temperate fruit, wholegrain crackers and bread) provides sustained energy during the day. 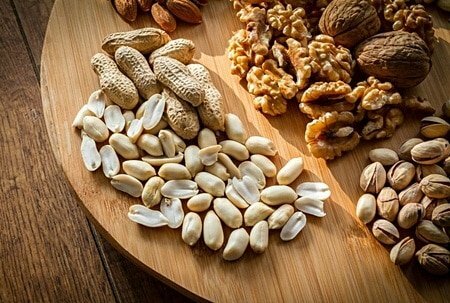 Mixed nuts for your office snacks from Pixabay Images. Bek Parry, nutritionist and healthy living enthusiast of Bek Parry Nutrition also adds that even about a palm size amount of protein-rich meat can keep energy levels even, keep you fuller longer, and reduce the longing for the 3pm chocolate. Calories aren’t all that bad for you–so long as you can burn them. If you’re not all that bothered about the effects of over-eating on your looks, at least bank on your health. You can even leverage downloadable applications to track your intake. Fatsecret is a mobile app for iPhone, iPad, Android, BlackBerry and Windows that not only tracks your calorie count. It also serves as a food diary to keep track of what you’re eating. It also comes with a large collection of healthy recipes for your diet as well as nutrition info for all foods, brands, and restaurants. 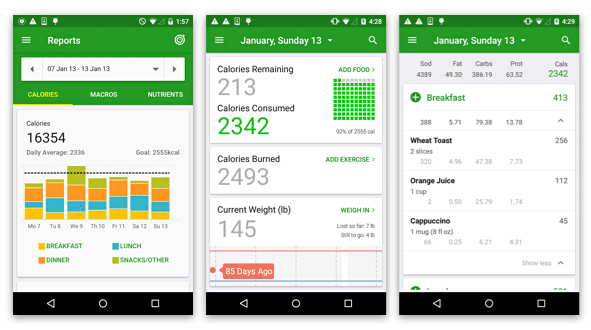 You can even record all the calories you’ve burned in the exercise diary and record your progress in the weight chart and journal. Use Fatsecret app to record or check your calories. Bek Parry, a nutritionist and healthy living enthusiast of Bek Parry Nutrition has this awesome idea of sharing lunch with your colleagues by dividing out the purchasing and keeping fresh ingredients in the fridge (salad greens, meats, roast veggies, wraps etc), ready and easy to make lunch fresh at work. When making dinner, dietitian Angela Berrill suggests making a little extra so that you have enough leftover to take for lunch the following day. Not only will this help to ensure that you have healthy food at the ready when the lunchtime hunger pangs strike but it will also help to save you money if you’re not needing to buy your lunch. Everyone gets busy during the workweek in ways that can’t always be easily anticipated. While you have time during the weekend, prepare many of the basic meal ingredients and store them in the fridge. This way, when the week starts to eat into your time, you can just pop one out and eat! According to Mikki Williden, a registered Nutritionist and Research Associate at AUT University in Auckland, New Zealand in sport and health research, spending a couple of hours in the weekend on meal planning will save so much time throughout the week and prevent you from making a run for the nearest sandwich bar. It’s important to have a good amount of protein and enough fat for satiety to help maintain your blood sugar levels (which are intricately tied to your energy levels). Prepping protein options, along with prechopping vegetables and making dressings can make lunches interesting when you vary them up from week to week. Here, she shares a great recipe you can easily prepare ahead of time so you won’t end up getting something unhealthy! Breakfast: 3 hardboiled eggs + 1/2 avocado, seasoned with sea salt and ground pepper. Very easy! 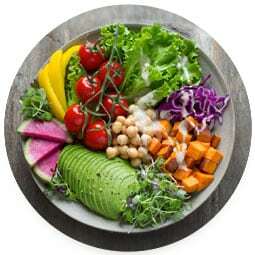 Lunch: Create a salad bowl, can use pre-made salad mixes, but ditch the dressing and make your own from olive oil and lemon juice or raw apple cider vinegar. Around 1-2 Tbsp prepared dressing is a good amount. Add 2-3 cups of greens, and use other vegetables such as cucumber, cherry tomatoes, finely sliced red onion, red or green capsicum, grated carrot. Add 1 Tbsp seeds (pumpkin, sunflower). Add a good amount of protein here (roast chicken drumsticks, leftover roast meat, small can natural salmon + a hardboiled egg). Angela Berrill, Director and Dietitian of ABC Nutrition swears by healthy food preparations. We are more likely to make poor choices when we are caught short. At the start of the week, ensure your desk will be well stocked with nutritious foods. Kate Walker of Lifespark also swears by packed lunch ideas! If you have the next day’s lunch packed the night before, you’ll be sure to have something healthy to eat the next day. This way, you aren’t running out the door with anything in the morning and having to buy food out. It reduces the possibility of ordering fast food or munching on some junk foods at the office pantry. Mikki Williden, a registered Nutritionist and Research Associate at AUT University in Auckland, New Zealand in sport and health research, also suggests that you can just go to the supermarket and pick up snack sized cucumber, carrot and 3 roast chicken drumsticks – opt for free range if possible and ditch the skin if it’s marinated. Finish with a piece of fruit. 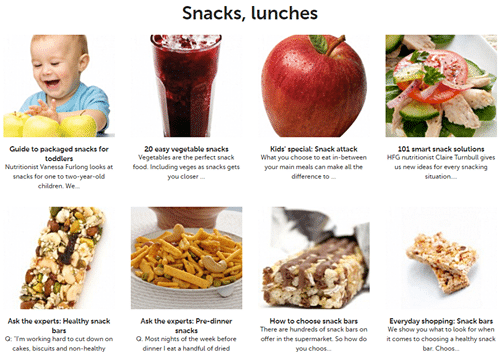 Healthy snack guide for you and your family by Healthy Food Guide. Kate Walker, nutritionist of Lifespark, suggests that you go for snacks and meals that will keep you alert during the day. Too many carbohydrates or too much in one sitting such as a large portion of rice, pasta or bread will actually induce sleep and make you feel more fatigued. Protein sources such as tuna, boiled eggs, beef, lamb, chicken, salmon, nuts, cheese sticks, cottage cheese, yoghurt, has many essential nutrients and proteins that help keep you full and energised! 46. Watch what you eat and how you think! 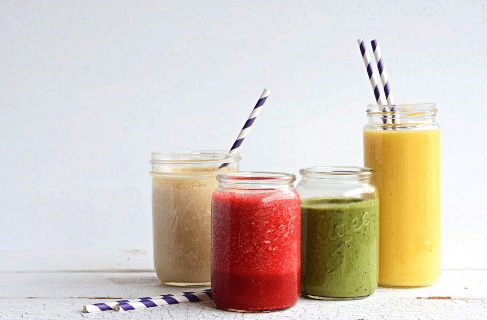 Sarah Tuck, recipe blogger based in New Zealand and creator of From The Kitchen shares her amazing smoothie recipes. Alex Tully and Kate Morland, dietitians and nutrition/personal trainers from Studio Rubix also has amazing smoothie ideas to share! Place all ingredients in the blender and leave overnight so in the morning it just needs a quick blend then it’s ready to go. Recipe: ½ cup frozen berries, 1 banana, 1x weetbix or ¼ cup oats, 1 cup milk, 1 tsp avocado or peanut butter, 1 tsp chia seeds. Team efforts make for easier healthy eating. Make it participative, create a board that encourages everyone to classify common office food choices into those you want to pick and those you should set aside. Make sure everyone is aware that they can contribute. Even throw a with one-liner or two. Print out healthy meal ideas on flyers or brochures that your employees can take home and try. Do this weekly and the next thing you know, they’re excited to see next week’s recipe to add to their healthy recipe collection! Here are Heart Foundation’s healthy recipes you can share with your employees. For optimal energy levels at work, Kate Walker of Lifespark thinks it’s best to aim for your 2 pieces of fruit and 5 handfuls of vegetables to meet antioxidant, nutrient and fiber recommended daily intakes. Plus aiming for 2-3L water daily is key to a healthy mind and cognitive performance. So in recapping- plan ahead, eat regular small healthy meals and snacks instead of just ‘coffee’ as a filler when hungry or need a pick me up. Most of the time it’s just dehydration and lack of good food that cause mental or physical fatigue. What are we supposed to eat?? It can be super confusing with all the different diets out now, however keeping it simple and basic is always best. Aim for 2 pieces of fruit and 5 handfuls of vegetables daily. Aim for 1-3 serves of healthy starchy carbohydrates (size of fist) for example kumara, pumpkin, brown rice, quinoa, whole grain breads/ crackers, Depending on activity level – less active less starchy carbohydrates. Dinner: Baked kumara with steamed broccoli and green beans and grilled steak or fish fillet. Caroline Worth, the registered dietitian of BiteWize also suggests that you aim to shop the perimeter of the supermarket to avoid the more processed foods which tend to be filled with hidden sugars, salts and preservatives. Write yourself a shopping list, stick to it and never go grocery shopping when you are hungry! Shop smart! 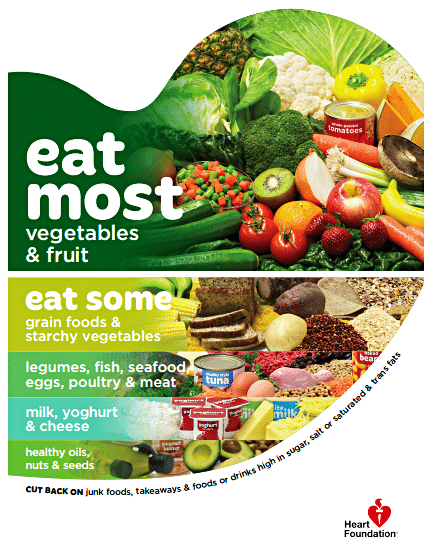 Avoid the more processed food which tend to be filled with hidden sugars, salts and preservatives. Taking out sugars and starches in your lunches will go a long way towards keeping you energized through the whole day. Sugars and processed carbohydrates tend to be burned off by the body pretty quick. Sure, they might give you a quick rush, but that will die out quickly. Replace these with proteins and vegetables and you’ll get just the right amount of energy spread throughout the day. Rest: Take a 10-20min break and relax without thinking about work. Have a short nap if possible! Movement: Sitting still for long periods stiffens our muscles and our concentration levels can start to fade. Take a 10-20 minute walk around your office or even better in the fresh air! Fuel: You may be hungry or dehydrated- make sure that you have nourishing snacks and meals throughout the day to provide your body with sustaining carbohydrates, protein, and healthy fats. If you do manage to get everyone going for salads, you can set a day per week for a salad sharing session. Encourage everyone to bring different mixes and recipes and set up swaps or tastings to have everyone taste everything. This will expose people to different kinds of salads and encourage creativity. Looking for healthy salad recipes? 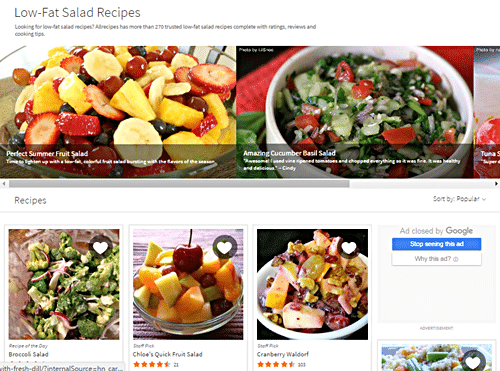 Try Low-Fat Salad Recipes now! At 210mg, caffeine can trigger anxiety in adults. These findings come straight from the Food Standard for Australia and New Zealand Working Group–they know what they’re talking about. As anxiety can be a big factor in employee performance, it’s on you to educate your people. Research caffeine levels and set it up so each dose daily falls within that parameter. Organic coffees and teas from credible suppliers are the best ways to go. An eye-catching, uncluttered, and informative poster will go a long way towards helping sell the idea of healthy eating more effectively. Take kale. No one used to love kale until they sold it and its benefits in such a way. One effective method is to tackle common health problems and how a particular veggie or meal is the best solution to go for. 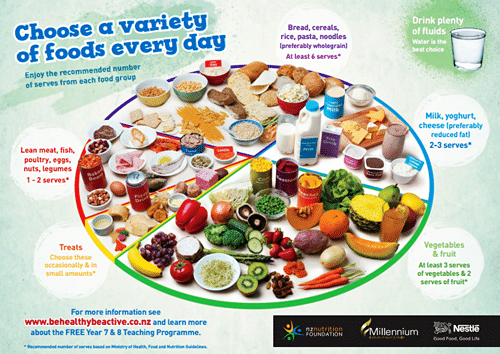 Healthy eating is important for both adults and children, image from Health Navigator NZ. 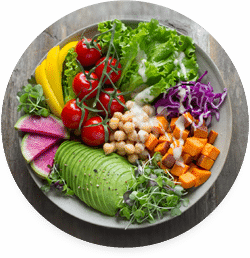 Nutritionist and Holistic Health Consultant, Cath King, shares how you can get your employees in on your healthy living initiative through the “The Seven Secrets to Sensational Salads” activity! Everyone knows that raw vegetables and salads are healthy and that they should be eating more of them. But how many people know how to make them sensational every time? In this hands-on food preparation activity, staff learn seven keys to superior salad satisfaction and then get to experiment with new ingredients and flavours to create their own sensational salads. Just knowing how and having confidence in the kitchen and that the result is going to taste great can help staff to include more vegetables in their diet and improve their health. For larger organisations with their own cafeteria, this workshop can help food service staff to add more sensational salads to the cafeteria menu. Going all green might not be for everyone so it helps to mix things up with a few fish dishes. Adults, you see, need a good two to three portions weekly, anyway. Try out many different dishes–steamed is particularly good and healthy–and set these savory options as a weekly staple. 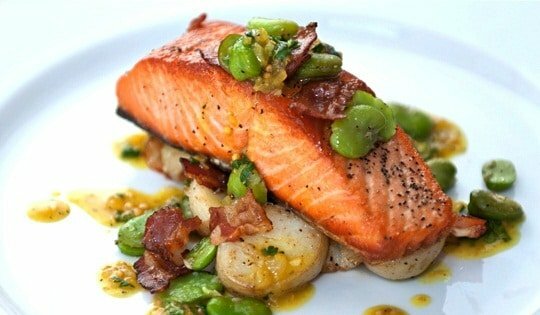 Try this Pan-Fried Salmon With A Broad Bean Potato Ragout And Warm Curry Dressing from Auckland Seafood School. Supplements are increasingly popular today and with good reason. As a business owner, the ability to get discounts for bulk purchases might make this a great perk for your company. Give your people the option to select what’s best for the group and go for that. Work gets busy, life gets busy and food becomes a necessary nuisance so we eat on the go. At our desk, in the car, checking our phones. That is why Andrea Palmer, the dietitian at Food Habits also suggests that you stop whatever it is that you’re doing when it’s time to eat. your brain and body gets a well-deserved rest/change and you’ll be able to work much better afterward. you become more aware of what you are eating, how much and how your body feels while eating. 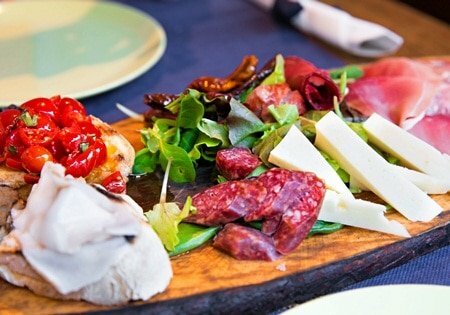 You feel more satisfied and less likely to eat more than your body wants. Starting a healthy diet can sometimes be confusing as there are a lot of contradicting information going around. Bust these myths by putting up posters, giving away flyers, or even posting articles on social media that will keep your employees informed on what’s good or bad for their diet. 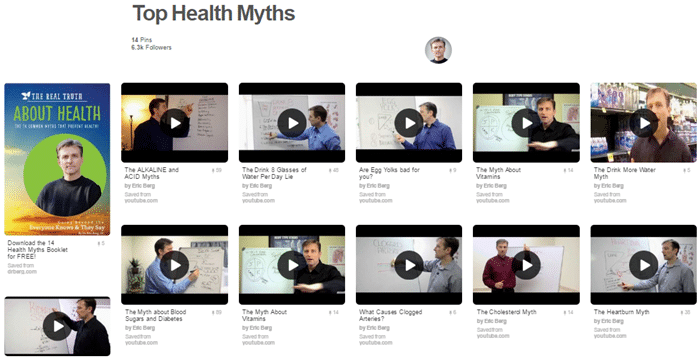 Here are a few helpful health myths on Pinterest discussed by Dr. Eric Berg, a Health Educator, and the Best selling author of the book “The 7 Principles of Fat Burning”. 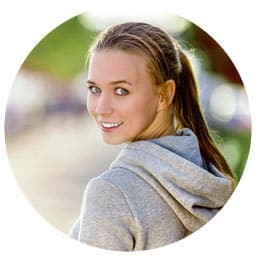 Another employee wellness tip from Caroline Worth, the registered dietitian of BiteWize is to get away from your desk when eating lunch, even if it is just for 10-15 minutes. A breath of fresh air will revitalise you and mean you are more productive for the weekend. This a great way to keep blood flowing and posture well, according to Belinda Bennett, the CEO and Founder of Go360 Gym and Wellness Centre, we should exercise at least 3 days a week and add it a little walking when you can. Resistant exercise has more benefits than cardio, so if you’re short on time chose this form of exercise first! Not on the run but also not at your desk or while in a meeting. The reason this is on the list, according to Maureen, a Registered Biodynamic Craniosacral Therapist and Elemental Chi Kung Instructor of BodiWellness is the link between digestive, stomach health, and stress. If we eat on the run, the digestive system receives mixed messages regarding hunger, metabolism etc. and in turn can lead to diabetes, inflammatory diseases which can lead to stress and it becomes cyclical. 64. Let magnesium work its magic! According to Robin Rodgers, Natural Health Practitioner of Aquarian Healing and Wellness Centre, most important nutrients anyone can take is Magnesium. There are 6 different types of Magnesium and I prefer a Magnesium Citrate in a powder form so that your body can start to absorb it immediately in the stomach. Magnesium works with all the muscles in your body and your most important muscle is your heart. Many people when under stress have muscle jumps in their legs especially in bed so taking magnesium will help to eliminate these annoying twitches. Download 17 bright, colourful posters to help promote better heart health at your workplace. Hugging trees? 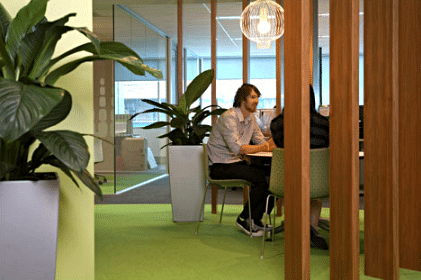 Maybe not, but going green indoors has been shown to reduce workplace stress. This and other helpful ideas including changing vending machine contents, improving ergonomics and mood-boosting tips. Did you know that paints, adhesives, and other pollutants inside an office can produce formaldehyde and other harmful toxins? 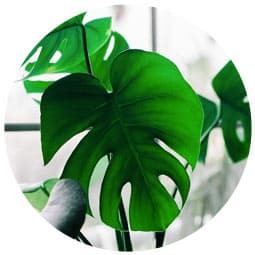 Keep the office air free of these harsh elements with air purifying plants. 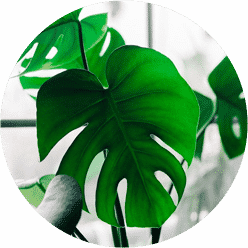 The benefits of indoor plants go far beyond the aesthetic. – Ambius NZ. Make sure your people get the most out of their short breaks by creating a canteen that will make them forget about work even for just a while. Remember, how and where you eat is also very important. A nice canteen will not only boost their satisfaction levels, it’ll help improve their productivity and wellness as well. 67. Time to get a huge fridge! Encouraging your staff to switch to healthier diets may mean you will need to get a bigger fridge for the pantry or office kitchen. If everyone’s going to be bringing packed healthy lunches, make sure you have enough space in the fridge where they can keep their healthy snacks and home-prepared meals. Vending machines are usually associated with junk foods, such as chocolate, sweets, chips and a whole lot of other sodium and sugar-packed items. But did you know that there are actually vending machines where you can get fresh juices, nuts and other healthier snack/food options? HealthyVending can have these healthy options for your workplace. Now, your employees will be able to quickly get healthier food options for snacks before they even think of dialing fast food delivery. Having a refreshing and healthy snack and food options at your pantry/canteen will keep your employees away from junk foods. Not everyone has mad skills in the kitchen. Not everyone can come up with yummy dishes, let alone healthy ones, on their own. So give your employees great healthy recipe ideas so they don’t end up ordering fast food when they’ve run out of ideas for healthy meals. A recipe board with lots of great ideas for healthy, and easy to make meals in the cafeteria or office kitchen will inspire everyone to join in the healthy diet initiative. You can even have contests on who can create the yummiest healthy meal for the month and that meal will be featured on your recipe board for everyone to try on their own, whether it’s in the office or at home. If it’s up on a communal board, why not make your cookbook shareable in a beautiful, portable scrapbook? With the right kind of drive and creativity, you can transform it into something inspirational and usable to your employees. It can be a universal, go-to resource for those stumped by next meal ideas. Get everybody to write down their healthy lifestyle tips and ideas on a whiteboard for everyone to read. I can include their stress-reducing secrets, healthy food recipes, routine tips, and a whole lot of other tips that can be of huge help to those who have no idea how to get started. A healthy workforce means better chances for business growth. Healthy foods can be quite expensive and this will tell on your budget. What you should do is to get a regular supplier (a nearby local farm) to provide these healthy foods, bargain for good rates as you will be buying bulk. This way, your pantry will always be stocked up with rich healthy foods at a lesser cost to you. Poor hygienic conditions in a workplace will lead to spreading different bacterial and virus infections, and worse, sick and absent employees. Did you know that your workplace hygiene level greatly depends on your washroom facilities? Regular daily cleaning are a must. Weekly or monthly deep cleaning services are great investments. Washrooms should have hand sanitisers and soap dispensers available. Uniforms should be regularly cleaned. You might want to inspect the quality of indoor air inside your office too as it’s important not only for your employee’s comfort but also for their health. Aside from asthma, there have been diseases linked to air contaminants in indoor environments, and while they do not do not cause immediate symptoms, exposures, such as asbestos and radon may lead to cancer after many years. Sitting all day is bad for the back, while standing allows for a bit of stretching. Section off an area with elevated tables to allow those who want the option to work standing. Then add anti-fatigue mats. 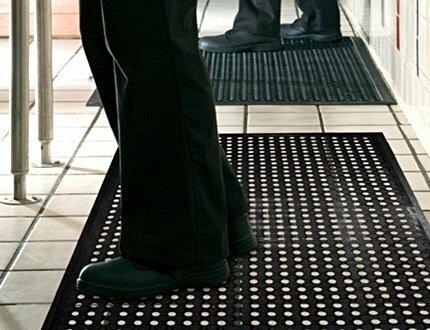 The first thing that anti-fatigue floor mats do is that they provide a layer of softness between the sore feet and the hard floor. The pressure on the joints is instantly reduced. Resistance bands are a great addition to any exercise routine. And because resistance bands are portable exercise equipment, they can be easily stored, making them perfect for offices. Even the health and fitness gurus at Go360 think that resistance bands are great for offices because anyone can easily perform any exercise done in the gym right in your office. You could also offer the option to replace your standard chairs with Pilates balls. Not only does this offer more frequent isometric exercise while you work, but it allows you to stretch when you need it. One added benefit of this setup is a crucial core and leg muscle focus–which a lot of people are partial to. A professional gym might not fit the budget, but a small one might be enough in a small room in your office. Leave room for aerobic workouts to max on office participation. Proper ventilation is always going to be a priority you cannot ignore, however. If your office doesn’t have a mini-gym, here is a video with easy and fun office exercises you can try at your desk/workspace. There a lot of activities to do around the office that can exercise, strengthen, and relax muscles. The only problem is that your staff forgets to do them on a regular. Jog their memory with awesome posters of quick and easy workout routines they can do inside the office. Granted, working full time from home comes with its wide range of distractions and challenges. If your officemates are being honest, they’ll love to spend time with their family more. There are many new technologies that allow for telecommuting and online working. A day or two per month to work from home is more than enough, really. Instead of online meetings where everyone is talking to computers, why not make face-to-face meetings a thing again? These kinds of meetings improve interpersonal relations within the workplace, saves energy, and also gets everyone to leave their desks and walk — instant exercise! Make appreciation a habit for everyone. A Thank You board on which employees can post thank you messages for someone who has helped them out through the week would definitely bring your people together into one solid A-team. When people feel appreciated, they tend to feel better about themselves and keep it up. “I can’t go to work all messy and sweaty!” Excuses are rife when you really want to avoid doing something, like going to the gym. If you want to get your people working out, give more subtle incentives. A shower and some lockers will do the trick. Just make sure you keep things clean. Alsco can help you in both counts. Eliminate the excuses for not working out even before they are said out loud. Truth be told, nobody likes coming to work cycling and then sitting all sweaty throughout the work day. Get lockers and showers. Moreover, make sure that your office washroom is perfectly clean. Alsco’s rental services can help you keep your washroom clean and hygienic. Everyone’s been told by their mums before to always sit up straight. Now, it’s your turn to remind your employees that their mums were right. Spread information on how important it is to have the correct sitting posture and how slouching all the time can affect the spine and one’s overall health. If you think you need to put up reminder posters close to your staff’s desks, do it! Here’s a useful guide with 6 rules to ensure better health while working in front of the computer. Save Our Spines! Download your FREE printable poster. A space in your office where everyone can collaborate will promote teamwork and camaraderie among your employees, boosting their happiness levels. It is also a great way for them to learn great ideas or inspiration off each other. If the weather is looking perfect, why not take all your meetings outside? Everyone, including you, need fresh air into those lungs! If your meeting won’t need presentations and computers, then head out and get some air. On days when there are no important visitors coming to your office, or even just on Fridays, let everyone go cool and casual with their work clothes! Let your employees loosen up a bit by having them wear more comfortable clothes to work on Fridays. Just make sure to give dress code guidelines for it so everyone still looks professional. If you have employees whose task will require them to stand for long periods of time, provide anti-fatigue mats like these ones from Alsco. They are perfect for jobs that require prolonged periods of standing as they are easy on the spine, knees, feet, and a person’s general posture. 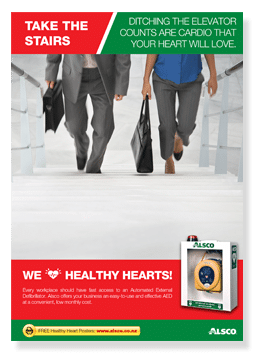 Alsco anti-fatigue mats – ideal answer to an accident-free workplace and your healthy, comfortable employees. Flu can be anywhere! So keep your employees aware of flu shots and why they are important. Provide information on when it’s best to get them, where to get them, and how or who can get them for free. Did you know that Sweden now has 6 hours a day workweek? It gives some interesting effects. You might want to consider cutting down the office hours on Fridays to only 6 hours instead of 8 or 9. Let the weekend start a bit earlier and loosen up the discipline on Friday. Long hours of commuting can remarkably reduce the productivity of employees as they will face more stress sitting for long periods in the bus or train. To get the best out of your employees, it will be important to create a system that will assist them to get accommodation close to work. This will also enable the employees put in longer hours at work because they live close by. One of the hardest things about eating healthy is finding the best quality food so you can keep eating healthy. Look for local farms or farmers close to your area and offer them a sponsorship or investment deal with your company which will let them deliver nutritious, fresh-from-the-farm produce such as vegetables, fruits, and free-range chickens and eggs, straight to your office. 93. Introduce a scheduled time for power naps. Many big organizations have adopted the concept of availing this opportunity to their employees. Power naps have a magical effect on employee wellness; they will feel refreshed to perform their duties better. Here’s how to nap at work as recommended by sleep.org. Also a great idea from Workplace Wellbeing’s Hannah Airey, are these music workshops that are also incredibly popular. The feel-good chemicals from exercise, singing and laughing all recharge and enliven the brain, chemical reservoirs, and the body. Their presenter is also a professional singer and songwriter who finds ways to effectively facilitate connection, joy and alert minds. It’s fantastic when people think they don’t have a musical bone in their body end up completely awestruck with what is created within a very short period of time. Background: Workplace Wellbeing uses the internationally renowned framework of the Five Ways to Wellbeing combined with the Maori philosophy of Hauora, by developing programmes and events to optimise employee wellness, workplace culture, job satisfaction, engagement and organisational commitment. Sending out regular newsletters containing information on how to make the workplace healthier and safer is a great way to educate your staff about this. You can include new ideas and the ways to implement them. It will surprise you that they will take the initiative to start implementing many of these ideas because they stand to benefit more from it. This is an exciting and engaging activity that will create a good atmosphere in your workplace. 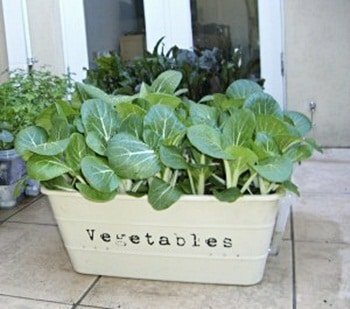 Create a space to be used for the cultivation of organic foods outdoors, then inform your employees that they should maintain it and they will be getting rewards from the products as much as the efforts they have put into the garden. Commercial gardening made easy by GrowGood NZ. This will be a great outlet for your employees whenever they are feeling some sort of mental drain. Working outdoors has a soothing effect on the mind. Your employees will also be getting useful physical exercise. 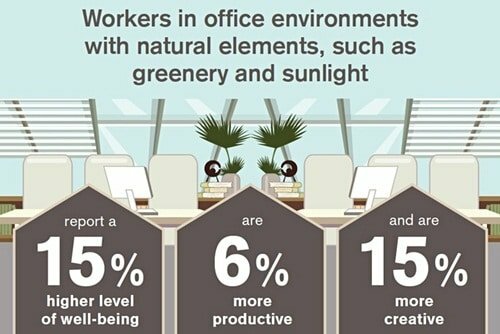 ArchitectureNow found out that adding natural elements in office environments has a positive effect on workers. Employee engagement positively correlates with workplace satisfaction. There are numerous options for themes, you can use blockbuster movies or popular music bands to create an atmosphere that is appealing and relaxing. You can also design the kitchen where the employees have lunch like a park with the related nature theme. This will be a different world from the busy desks the employees just left behind. It will have a soothing effect on them, reducing stress. 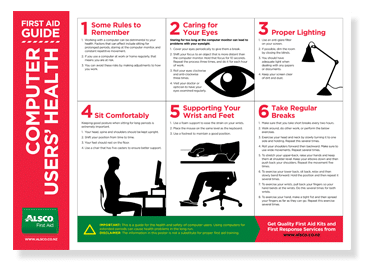 Keep a healthy workplace with 8 FREE, vibrant, hand-hygiene posters. Download them now! 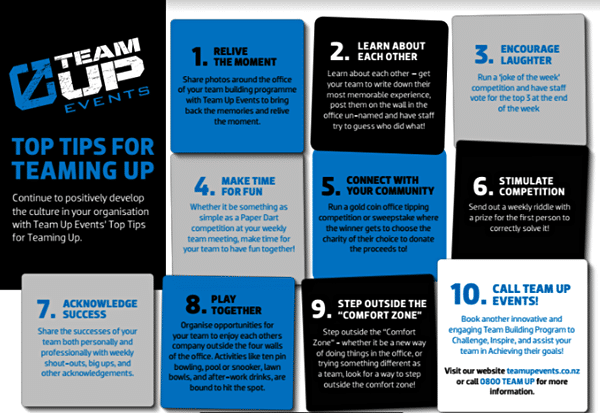 Discover how to make those dreaded team bonding exercises enticing and rewarding. Plus sixteen ways to transform your co-workers into the happiest, fittest, and rewarding A-Team. Workplace Wellbeing’s Director, Hannah Airey, suggests having a fun-filled laughter workshop with your staff. After all, laughter is our body’s natural antidote to stress. When we laugh it stops the fight and flight response, lowering cortisol and adrenaline levels, increasing endorphins and serotonin. Laughing helps remove stress and tension. When we laugh together we immediately connect, we create and we have a lot of fun. It’s an incredibly powerful, yet very simple form of exercise and enabler. Laughter is a universal language that transcends all barriers; age, gender, language, hierarchy, physical abilities, race, religion, political beliefs. It’s particularly good for the office environment as it’s a great leveler and connector. Anyone can laugh without relying on humour, jokes or comedy. Laughter has profound effects on our mental and physical state of being and is often heard throughout all of our team building opportunities. Workplace “morning tea shouts” are often quite common and lacks nutritious options. Alex Tully and Kate Morland, of Studio Rubix thinks it would be great to create a “morning tea club” where teams can take turns preparing nutritious options for their morning tea shouts. E.g. miniature quiches, fruit kebabs, nuts/seeds/dried fruit, hummus and grainy crackers or veggie sticks, cottage cheese and crackers. Office trips always are popular, so why not go for a healthy one. Organizing a weekend hike gets you and your office mates some much-needed fresh air as well as physical exercise. This also creates a comfortable atmosphere where you can chat with your co-workers to get to know them better. As an added bonus, you get to enjoy the natural beauty around you which helps with relaxation and calming. Working straight all day can definitely stress you out and sometimes, a lunch break where you can go to the office pantry to eat isn’t enough. How about a lunch class? The awesome Belinda Bennett, the CEO and Founder of Go360 also think that lunch classes are always a goodie! 30-45 or 60 min classes whichever suits, re-energises you and helps to tackle the second half of the day also. 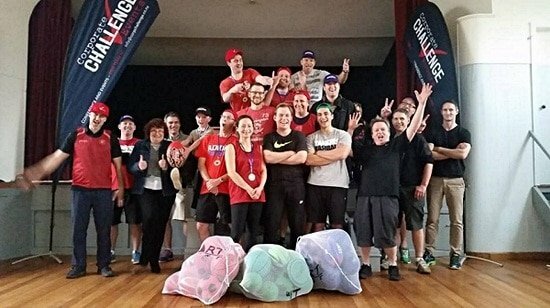 Sportsfest are perfect for those who are active and those who aren’t. 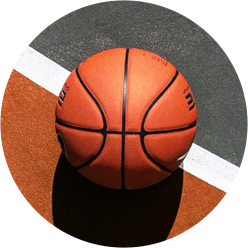 A wide range of sporting events and cheering will mix it all up perfectly. Apart from the obvious team-building, you can rack up karma points by setting it up as a charity. 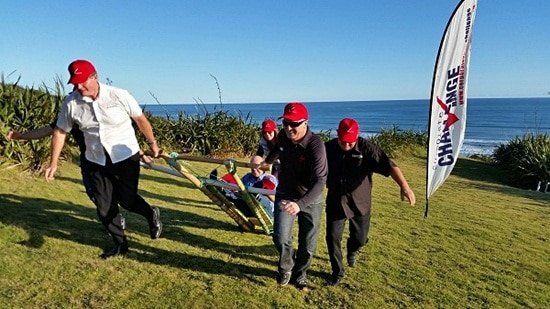 Todd Statham, the New Zealand National Manager of Corporate Challenge Events believe that team building plays a great role in understanding, appreciating, developing and maximising the people in your team, and also the team as a unified group. Pam Hewitt, Personal Trainer & Health Coach of Fit Future, shared what she thinks would add more fun to workplace wellness programmes: competitions! reaching their target steps per day. going for a walk at break or lunch time. using a swiss ball for a 1/2 hour. attending one of our sessions. bringing in a healthy lunch. 106. See for yourself how table tennis can help! It’s always a good idea to take a break and have a little fun – or play games. This will help you relieve stress and stay energized at work. If you’re tight on space or don’t have a place to put up hoops, a ping pong table is a great alternative. It fits any space and can be easily put into any reasonably sized room. Of course, if you can do both a hoop and ping pong table, why not? 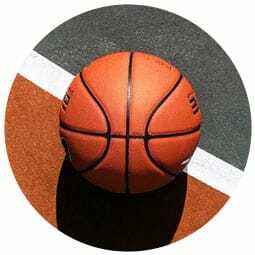 Inter-team basketball is great exercise and through competitions, you build intra-team confidence and bonding. If that’s a bit of a stretch, then simply put in a hoop and offer a little extra lunch time to allow for casual pickup games. Whoever said you can’t cook in the office obviously didn’t know how fun it is. Take the initiative. Do in-office cooking lessons for everyone who would like to learn how to create healthy dishes they can try even at home. Take the initiative. If your office can provide for it, everyone can pool their resources to organise healthy-food cooking courses. If the first is successful, more can join to make it a regular thing. This is another employee wellness tip from Hannah Airey of Workplace Wellness. These cooking challenges are designed to allow participants to reach their full potential and work within small teams allowing each other to know what worked well and to bring out the best in each other. There are a variety of challenges to choose from and the end result is always the same. See how well you all work together, create, play and have fun. When we take the fear out of doing something fun and creative, it is a lot easier to problem solve and be non-judgmental. If by any chance, no one in your office is an expert when it comes to cooking yummy, healthy dishes, there is still hope. You can still offer quick and easy cooking lessons in the workplace. As an alternative, you can also invite great chefs you know for a day seminar on crafting healthy office meals. It’s more affordable and might well be more effective. Social Cooking, a cooking entertainment company can help you motivate and engage your staff through a healthy cooking experience. Organise a health fair for your company. Invite nutritionists and health and fitness experts who can share helpful information to those who are eager to start living a healthier lifestyle. 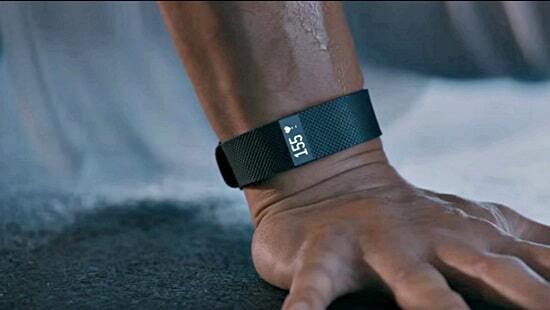 FitBit bracelets are great gifts to get your staff. Or when someone is performing really well! Encourage everyone to get one for themselves or if you can’t afford to buy them for everybody, you make it a price for exceptional work. Kate & Toby Morland of Studio Rubix also thinks Fitbit challenges are great! Have a competition between colleagues of who can accumulate the most steps each week. This is a great way to find motivation for lunchtime walks, taking the stairs, and prioritising movement in the day. A lot of people shy from gym memberships because it’s an extra expense. Talk to your local gym for the possibility of tying-up. Sponsoring monthly memberships is a sure way to get your employees more active. If you really want to be serious, block off time specifically for your employees. Cover Your Cough” and “Do’s & Don’ts”… Get 6 FREE, downloadable hygiene posters for your workplace. Working to live or living to work? Help your team find the right balance, stay motivated and sleep well. There’s over a dozen inspiring ideas to put smiles back on faces and foster a better working environment. We often hear about work-life balance, but Claire Turnbull, a registered nutritionist, a professional speaker, and the director of Mission Nutrition, also thinks it’s important to take a look at your work-life volume. It’s not that we are actually struggling with Life-Work Balance. What we are really struggling with is Life-Work Volume. There is simply Too. Much. Stuff. going on. And too much stuff makes life feel frenzied and chaotic even when it is actually quite well balanced. So the solution? Some of the less important less essential stuff needs to go. 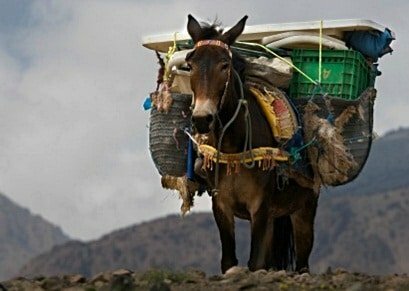 It’s looking through the packs with discernment and jettisoning a few non-essentials, that we thought were essentials but on reflection we can actually do without. Rae Ng of Mybod shares how important it is for your goal to resonate with you – that’s where your motivation is. Extrinsic motivators (motivators that come from outside of yourself, like looking good for an event or being motivated to do something for someone else, like your partner) are typically less effective than intrinsic motivators (motivators that come from inside of yourself, like wanting more energy to keep up with the kids or improving your health as you get older) in the long term. Extrinsic motivators can be very effective in the short term but the question you need to ask yourself, is ‘do you want this goal, change or new habit to be long term or short term?’ There’s no wrong answer but finding the right ‘why’ for you, or your true motivation, will change your approach to your goal. It will be a great idea to encourage those people who share common hobbies to come together and interact with themselves. These events promote unity and they create a different environment that sets work aside for a moment to just relax and have fun. 117. Wish everyone a good night’s sleep! If you want all your employees to be performing at their best everyday, then encourage them to get the best sleep they could possibly have. Another great reminder from Rae Ng of MyBod is to get back on track, even if you slip up. An all-or-nothing approach is unhelpful, and sometimes things come up, we slip up, or want to give up. Remind yourself it’s not the end of the world and get back on track as soon as you can. If you know you’re going to have disruptions or roadblocks on your way to your goal, make a plan that takes this into account. Slip ups do not signify failure and are just part of the process. Create the necessary awareness in your office about depression and anxiety; these conditions can be very disastrous if they are left to fester without professional help. If your employees know the symptoms and have an easy access to professional help, their cases will be taken care of before it deteriorates further. Invite an expert to your office to teach everyone the proper breathing techniques and how it can help them in their day-to-day tasks inside the office. You can also put up posters with important information on breathing techniques so they don’t forget about it! Here’s how to do breathing exercises while working at the computer. In a diverse workplace, it’s important to make sure that every employee feels comfortable or “at home” in the office. Make sure that no one feels out of place because of their differences. Harmony day events are those special occasions set aside for employees to display their culture for every other employee to understand them better and appreciate them. It should be encouraged to promote unity among your employees. 123. Allow a family day for everyone! Family days are always wonderful. Organize a Family Day event for your employees where they can bring their husbands, wives, and children and meet everyone you work with. This will be a great way to encourage your employees to develop a better work/life balance. Birthdays are great days that should always be celebrated. Aren’t you thankful that your awesome employees were born? Let them know that you’re happy to have them. Always celebrate every employee’s birthday, regardless of his/her position, in a special way. Healthy lunch club meetings will create an opportunity for your employees to support others who might have challenges with eating healthy foods. You should permit them to use the facilities in the office for these meeting, remember- a healthy employee means higher productivity in their jobs. No matter how small they are, all acts of kindness count. Encourage every employee to always try to do as many acts of kindness as they can in a day sincerely as it gives them a more positive outlook and makes them feel good. There should be no rules guiding these acts. It should be simply random and real. This will touch many people in unexpected ways that will make them feel loved in the work environment. Get your first month’s uniform rental FREE when you sign-up to a Managed Uniform Rental Service. A little encouragement and bit of pampering can go a long way to help your workmates not feel like their stuck in a dead-end job. Here’s some great tips on personal growth, finances, professional development and more… and we’ve even thrown in a cute dog. No one’s ever going to say ‘no’ to a day at a spa to get a relaxing, soothing massage. A little pampering would keep your hardworking employees stress-free and ready for another week of work. You can offer freebies such as coupons to spas and for massages. Give it to them monthly or after a hectic workweek. After all, good workers deserve a spa day to relax and be pampered. 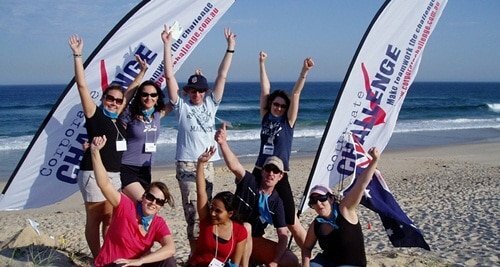 A unique corporate spa retreat and team building celebration by Champs Elysees. Never let your employees feel like they’re stuck in a dead-end job. Keep reminding them that there is always room for improvement. Offer professional development courses that will help hone their skills and give them career advancements. Here are Professional Development Training‘s most popular subjects. 129. Teach them a new language or two! Did you know that learning a new language has health benefits? Improves brain growth and development. Improves focus and problem solving skills. Boosts memory and attention to details. Give your employees the chance to learn a new language. It’s a great way to keep them stimulated, curious, and eager to learn new skills. Besides, wouldn’t it be good for business to have someone who can speak more than one language? 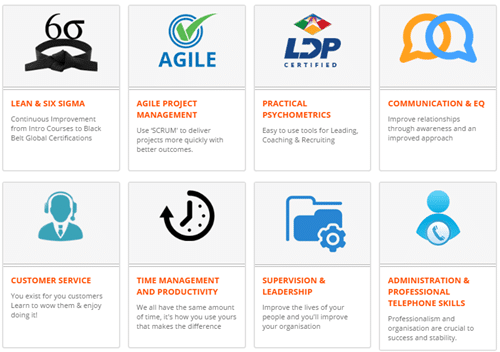 Offering free courses on your employees’ personal development and growth is one of the most important investments you could make for your business. This will boost their overall happiness levels and make them better, more productive workers and satisfied people. You can offer these courses after work hours. Personal finance courses will help your employees to manage their personal finances better and improve their life quality. This will also help them avoid making bad financial decisions that might make them feel like all their hard work isn’t paying off. New mother and fathers always have a very hard time staying focused on their jobs; it is also challenging to find good daycare services close to the office. It will be a great idea if a good daycare center can be opened within the office building. A good arrangement can be made with a reputable daycare service establishment to run the unit in your office. In times of family emergencies or other personal crisis, there should be provisions for a substitute to relieve the affected employee who should be placed on a paid leave for the period they have to be away. This makes them feel like they are part of the business family. They will always put in their best if they know the company cares that much about them. Organizations that have permitted their employees to focus on personal projects that are related to their work have made the right choice by doing this. Many times, the demands of the official job descriptions will make employees abandon personal projects that have immense potentials. If they are allowed some space to develop these projects, both parties will benefit when it becomes a huge success. Google allows this kind of arrangement and it has been successful. This is how the Gmail and AdSense were innovated. Kick against smoking at all costs. 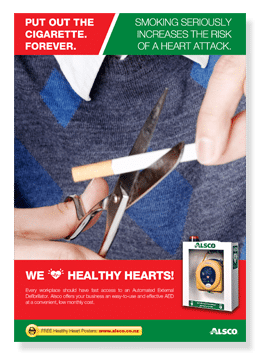 The dangers of smoking should be consistently advertised in your office by using a light but serious tone that will make smokers realize they have to quit. ‘QUIT SMOKING!’ Get the series of FREE posters to motivate your co-workers! Since weekends are the only free time your employees have that they can spend with their families or to catch up with friends, it would be great if you can guarantee them that these days are completely work-free. Also, make sure that all overtime work is agreed upon. Promote the habit of balancing time spent on social media as it reduces the free time your employees already lack. Encourage everyone to use a specific amount of time they can spend on social media so they’ll have time to do other activities that can improve their life quality, like exercise, meditation, reading a book, or even taking a nap. 138. Office costume parties + karaoke! Thinking out of the box to get ideas that will make your employees feel loved is a great way to encourage them. You can organize costume parties and get a karaoke machine in for your employees. They will have fun and this will go into their records as memorable moments they can hold onto in the future. We have seen the effects of a day like this in the lives of the employees. It is simply awesome, a day set aside to permit everyone who has a dog to bring them to work. 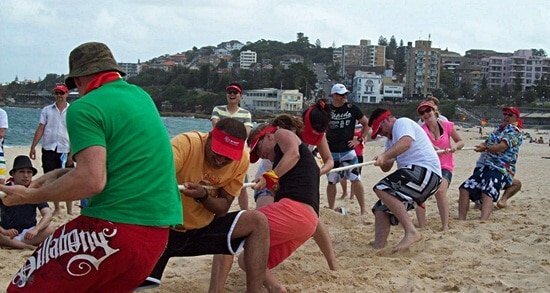 It is a lot of fun and it fosters a closer integration of your employees as a team. Dealing with teenagers can be quite challenging. The burden will be even worse when work stress is included. Companies can make arrangements for professional help that employees who are going through this phase can take advantage of. Supporting your employees in every way is all that matters. 141. Swap knowledge with everyone! Many organizations have different units within the company. Every employee was hired because they had a special talent that will be beneficial to the business. A good idea will be to organize sessions where information can be freely exchanged between the employees. Those good at computing will teach the others good at administrative work and so forth. This is another creative idea to bring your team closer together. Your employees can meet in the kitchen and exchange ideas how to make several flavors of healthy pickles or jams, these will be better options to those products bought off the shelves. It will also encourage healthy eating as those employees who have never thought of making theirs will start doing this instead of using the processed pickles and jams sold out there. 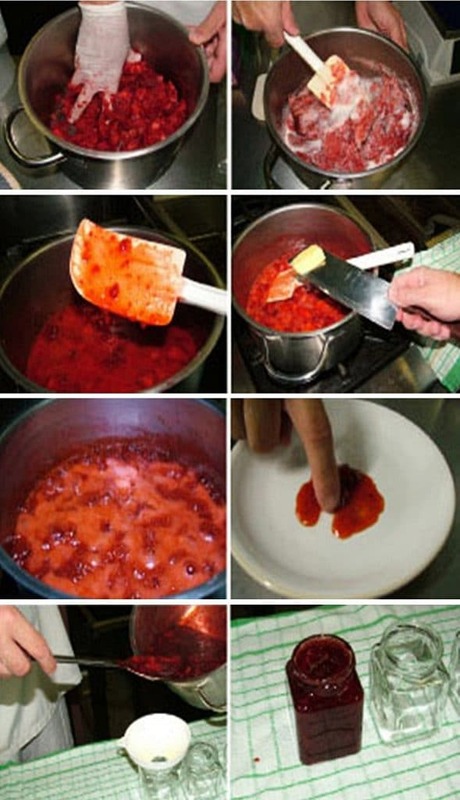 A step by step procedure of making a Jam by Chelsea. It is important to create an outlet for any employee feeling stress to let off steam. These stations are fitted with adult coloring materials. This is an activity that is good for balancing mental and emotional strain. It is also effective for anxiety. Your employees will feel better about their jobs if they are regularly reminded about the huge impact the business they are a part of is having out there. Always create the opportunity to refresh this memory in the minds of your employees. Sadly, there are many organizations that have underutilized roof tops. You can create a clean space on your roof top that will be used for activities like lunch or relaxation. It will be a great idea to permit deserving employees to go on to the roof top for a refreshing lunch with a great view. It is a good idea to open up the option of going on a paid leave for an outstanding performance at work. This is a reward many employees will look forward to. From $1 a day our managed rental program keeps your washroom clean, restocked and maintained. Every business has a goal to reach. These goals, of course, can be achieved with a lot of hard work, as well as support and involvement from everyone in the organisation. Promoting a positive, safe, and healthy environment for employees while trying to achieve these goals is definitely something that can create a positive impact on your business. Partner with Alsco. 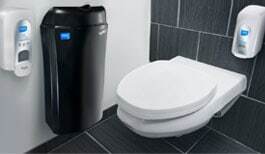 Alsco offers a wide range of highly effective, regularly-maintained and regularly-maintained and hassle-free washroom services and hygiene systems for your business. 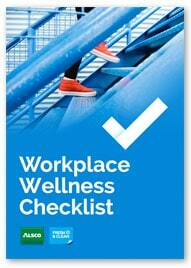 Have you started working on your employee’s overall health, wellness, and happiness at work? Let this guide give you a head start! Keep your workplace fresh, hygienic and healthy – from as little as $1a day. branch for fast, friendly and local service.